On An Overgrown Path: Who cares where they come down? 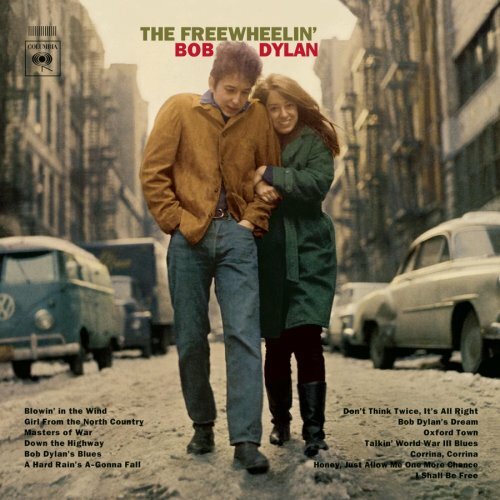 Taken from Suze Rotolo's recently published memoir of Greenwich Village in the sixties 'A Freewheelin' Time'. 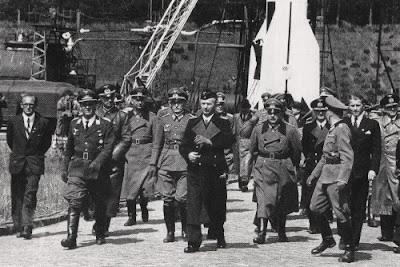 In the top photo the apolitical von Braun is seen on the right in a dark suit with senior Nazis staff at the height of hostilities in May 1943 at the German rocket laboratory at Peenemünde. 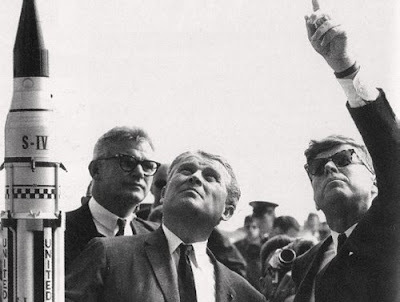 In the lower photo the rocket man has come down on the other side and is seen showing President John F. Kennedy around NASA's Marshal Space Flight Center twenty years later. Recognise the rocket? I was going to cue the first twelve-tone protest song. But much better is Tom Lehrer himself singing of Wernher von Braun. It wasn't just one way traffic. Remember that Hitler's court composer was a Harvard alumni. But if the politics are all too much why not tune in to Neil Armstrong's moon music?